Let’s think about the system that collects and processes the data. Quite often processing happens after data have been inserted into the system. Typically the rows have set of the columns inserted as NULL. Processing routine loads the rows, update those columns and save rows back. First – let’s create the table. There are only 3 columns in this table – identity, char column as the placeholder for the columns populated during insert stage and post processing placeholder. Second, let’s check the physical index statistics. Index is practically perfect. Now let’s execute update and populate post processing placeholder column. Now check the statistics – terrible fragmentation and a lot of space wasted. Obviously the workaround is simple – reserve the space for the post processing columns on the insert stage. This entry was posted in SQL Server 2005, SQL Server 2008, T-SQL on November 28, 2010 by Dmitri Korotkevitch. As we remember from the last week – there are 3 requirements for the clustered index. It needs to be unique, static and narrow. Let’s think about identity and GUID – what is more appropriate for that. Uniqueness. Both – Identity and GUID are unique. Identity is unique in the scope of the table. GUID is unique in the scope of the database. Let’s add one other factor into consideration. Identity is increasing monotonously. It means that SQL Server fills data pages one-by-one. That’s typically not a bad thing – it introduces high fillfactor and reduces the fragmentation unless you have the table with really high number of inserts. In such case the system will have contention in the extents allocation. The number varies based on the multiple factors – row size, hardware, etc. I would not worry about that unless I have at least a few hundred inserts per second. In such case I would like to have the clustered index that distributes the load across entire table. (And let’s be realistic – in such case I want to have clustered index that covers most critical queries). GUID could behave similarly to Identity when it generated with NewSequentialId() or random when generated with NewId(). This is probably the most important difference besides the size. So technically, you can alter the behavior with one default constraint, although again, I’m not sure that GUID is a good choice for the transactional tables anyway. This entry was posted in General on November 25, 2010 by Dmitri Korotkevitch. What could be simpler than union? Probably “union all”. “Union” removes all duplicates from the combined row set. 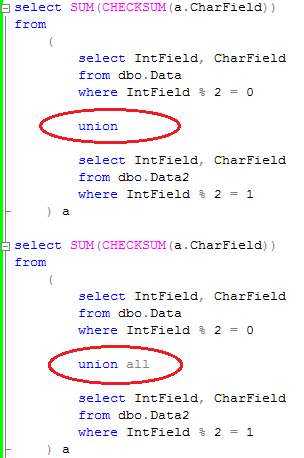 Union all simply concatenate the row sets. Obviously, if original row sets are unique, results would be the same. But plans are not. Take a look here. Let’s create 2 tables with some data. Now let’s do the union and union all and see the plans. Union introduces another expensive “Distinct Sort” operator. As result the execution plan with union is almost 2 times more expensive than with union all. Of course, your mileage may vary – in the case of the large and complex queries the higher cost of “Union” operator could be hidden but in any case, it’s more expensive. So don’t use it if rowsets don’t have duplicates. This entry was posted in SQL Server 2005, SQL Server 2008, T-SQL on November 21, 2010 by Dmitri Korotkevitch. 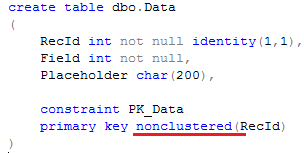 Primary key looks similar to the clustered index but it’s not the same. So what are the criteria? Clustered index needs to be unique. If you don’t define the clustered index as unique, SQL Server adds 4 bytes hidden “uniquifier” to the row. 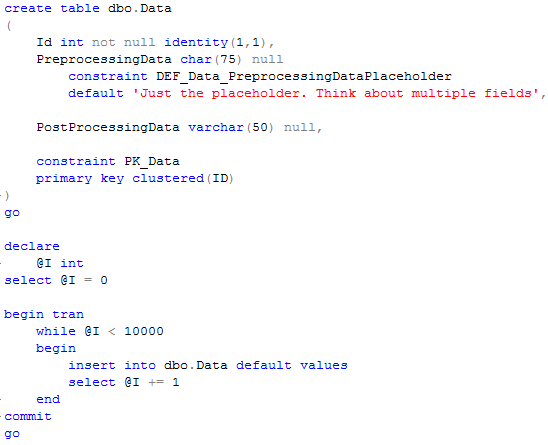 This is the method that helps SQL Server to distinguish between the rows with the same clustered index values (think about non-clustered index rows for example). If you need to create clustered index on non-unique column(s), I would suggest to add another identity column as the last column in the index. Same storage size but it gives you better control. You will be able to update row via clustered index values for example. Those 3 factors are important. You have to keep them in mind when you design the table. This entry was posted in General on November 17, 2010 by Dmitri Korotkevitch. No SQL Tips today. A couple notes from PASS Summit 2010 where Microsoft announced SQL Server code name “Denali”. There are a few interesting enhancements in T-SQL for that version. 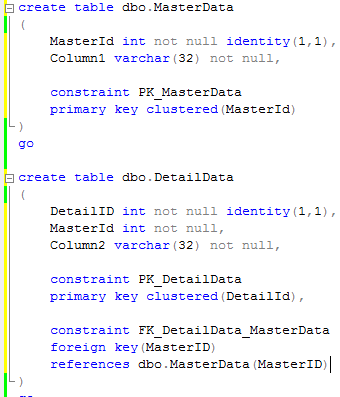 Nice to have feature even if it’s easy to implement similar mechanism right now with the separate table. SQL Server “Denali” introduces “Partial” self-contained database mode. The long time roadmap is to be able to create the database which is self-contained and can be moved/deployed from one server to another and “just works”. It should include logins, linked servers, sql broker settings, etc. “Denali” technically support only “PARTIAL” mode that disconnects logins from the database (You will be able to create database user with password and SQL Server will be able to authenticate against this user). Obviously in this mode you will not be able to access any resources outside of the database. 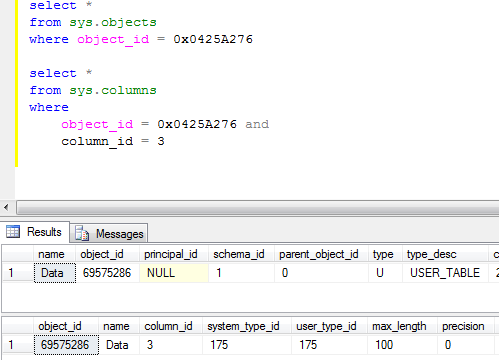 Another thing in this mode – objects in tempdb would use/be created in the same collation with the database. In addition to that it introduces the DMVs show the breaches for the contained mode. It would include dynamic sql, references to other databases, linked servers, service broker queues, etc. Good feature, but not really useful for ISV who needs to support multiple SQL Server versions. 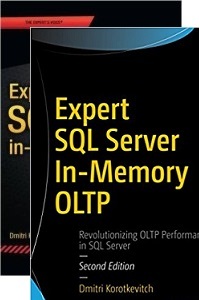 Will see and hope that new version of SQL Server would be really good. This entry was posted in General on November 14, 2010 by Dmitri Korotkevitch. 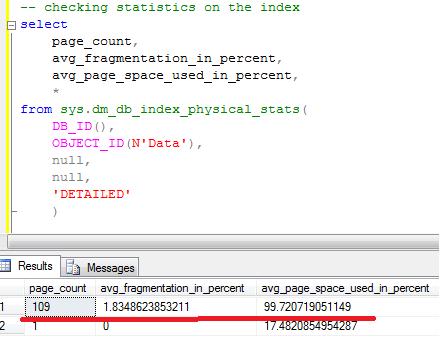 Last time we saw when SQL Server creates statistics and what database properties affects statistics update behavior. Today let’s talk what triggers statistics update and how can it be updated manually. As we know, statistics is based on the table data. And obviously statistics is outdated when underlying data is changed. 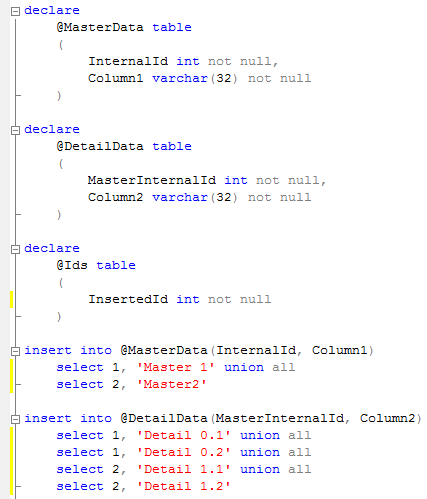 As you can guess at this point, SQL Server tracks the number of the modifications in the table and updates statistics when number of the modifications reach the threshold. Let’s see what is the threshold. Of course, auto update statistics needs to be enabled on the database level. 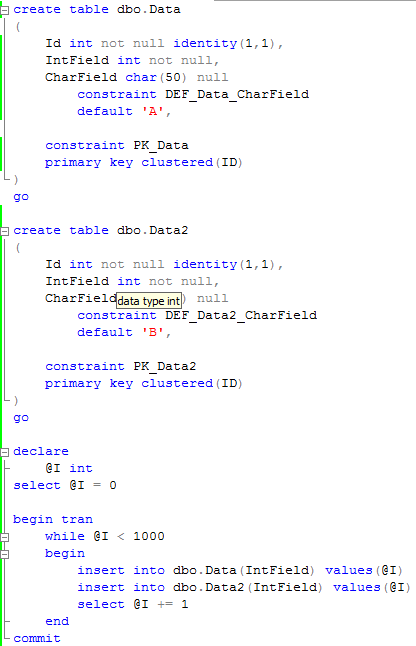 For the temporary table there is one additional threshold at 6 rows. 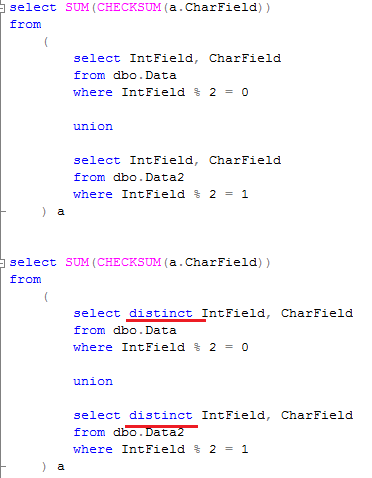 This behavior can be altered with OPTION (KEEP PLAN) query hint. As the side note, temporary table variables do not keep statistics. That can produce quite inefficient plans in some cases. On the other hand update statistics on the temporary tables can introduce extensive number of recompilations. If this is the case, it could be fixed with OPTION (KEEPFIXED PLAN) query hint that prevents query recompilations based on statistics update. Statistics also updates during index rebuild stage. It does not update during index reorganize operation through..
As I mentioned before, in most part of the cases default behavior is OK. Although it’s useful to understand how it works internally. This entry was posted in General, SQL Server 2005, SQL Server 2008 on November 10, 2010 by Dmitri Korotkevitch. Last Sunday we saw how we can insert packet of the master/detail rows with the multiple master rows with MERGE statement. Obviously this approach would not work with SQL Server 2005. So what can be done there? 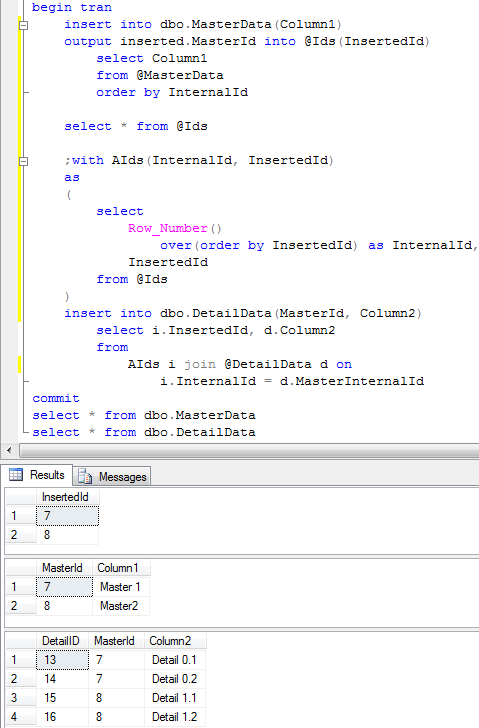 The problem that SQL Server does not guarantee the order in which rows are inserted with insert/select statement. It does not guarantee that with insert/select..order by either. Although based on the blog post from SQL Server Engine Team, insert/select..order by guarantees the order in what identity values are generated. It says: “INSERT queries that use SELECT with ORDER BY to populate rows guarantees how identity values are computed but not the order in which the rows are inserted “. 2. 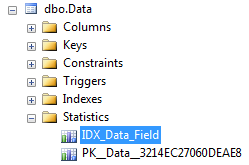 InternalID columns values in @MasterData and @DetailData should start with 1. This is important! So we know the order in what identity values are generated. If our InternalIds in the tables are the same (started with 1), we can use it the approach below. 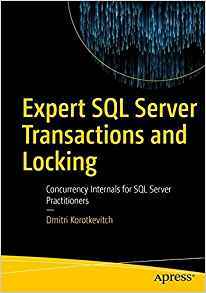 This entry was posted in SQL Server 2005, T-SQL on November 7, 2010 by Dmitri Korotkevitch. As we already know, SQL Server relies on statistics on optimization stage. Obviously, up-to-date and accurate statistics is the key. Let’s see when and how SQL Server manages it. “Auto Update Statistics” – controls if statistics is updating automatically. If this option is enabled, SQL Server detects if statistics is outdated and updates it during the query execution. In most part of the cases this is desired behavior. One of the possible examples when you can choose to disable that – if data in the table is fairly stable and updates are coming in the multiple batches nightly. In such case you can disable the auto update and update it manually after all batches are loaded. “Auto Update Statistics Asynchronously” – By default, statistics is updating synchronously. It means when system executes the query and detects that statistics is outdated, it updates the statistics and recompiles the query. This could introduce additional delay during statistics update phase and queries with low timeout settings could timeout. 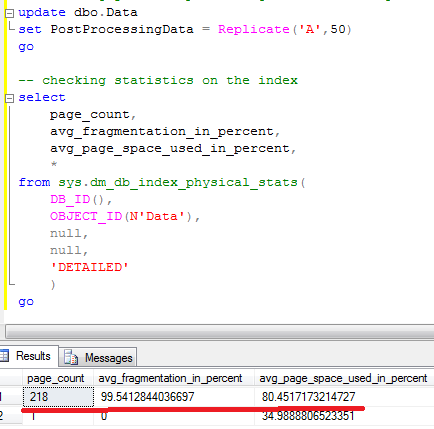 If you decide to use asynchronous statistics update, sql server generates the plan based on the outdated statistics and updates statistics in another thread. 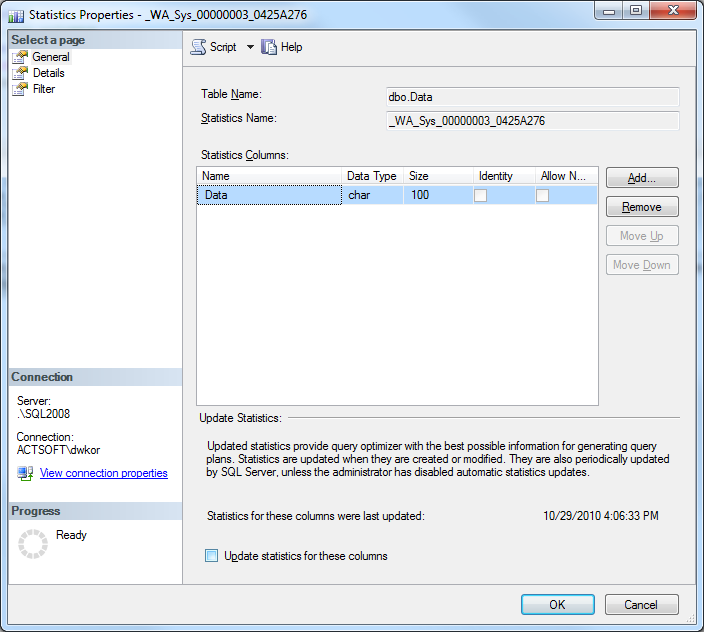 “Auto Create Statistics” – By default SQL Server creates statistics automatically. You should leave it as is in most part of the cases. 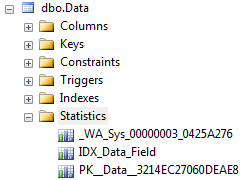 By default, when you create an index, SQL Server automatically creates the statistics with the same name with index. Next time we will talk when statistics is updating automatically and how to update it manually. 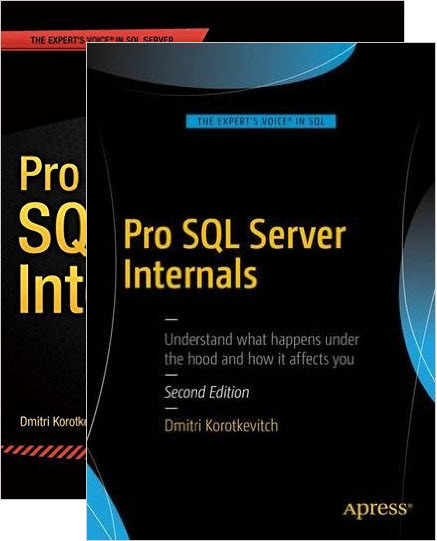 This entry was posted in General, SQL Server 2005, SQL Server 2008 on November 3, 2010 by Dmitri Korotkevitch.